One need not search the Bible long before finding honest interaction with the concept of unexplained suffering. The biblical narrative unapologetically attests to the sufferings of mankind. It does not posit a quip response or simplistic answer to humanity’s hardest reality, nor does it suggest that the problem can be diffused, avoided or ignored. Rather, the biblical response is one that dignifies a world that suffers under the weight of sin and the threat of death. The biblical response to suffering is embodied in the suffering Son of Man, who paved the road to eternity by way of the cross. In his paradoxical example, the believer is granted a vision of the divinely extended gift of meaningful, absolute and certain hope in the midst of suffering. Biblical hope is neither wishful thinking nor blind optimism; it is reckoning in the present what is guaranteed in the future. Hope actively and expectantly waits for what is assured but not yet realized. While faith believes in God’s revelation and trusts in his declarations, regarding the past, present or future, hope is exclusively anticipatory. The biblical call to hope, then, is distinct from the call to have faith. With a compassionate and courageous voice, the biblical narrative affirms the pain of suffering, while in the same breath repeatedly and distinctly beckoning the Christian to hope. The reason is clear: Christian hope is contingent upon the unchanging character of God. Faith in the reliability of God’s nature and the immutability of his word is foundational for Christian existence, and hope for their future realization is the bedrock for fruitful endurance in times of suffering. The Bible presents a God who is essentially loving, and the unflagging, immovable conviction in his goodness produces hope. To hope in suffering is meaningfully and personally to internalize and respond to biblical revelation and directives. If the God of the Bible is to be trusted and his promises believed, hope in suffering is not just an invitation but an obligation; hope is the silver cord that tethers a suffering world to a loving God. The Psalter walks the reader through national and personal journeys of pain, loss, betrayal, joy and victory, and more than any other canonical book, it contains frequent references to hope. The psalmists reflect on the way that blessing and suffering seem to travel along parallel tracks in the lives of the righteous ones, and though confounded by suffering, they attest to an obligation to hope. Interestingly, the Psalms reiterate an enduring hope in God’s promises to the house of David, though the Psalter was arranged after the exile when there was no trace that Israel would ever see another Davidic King. Despite this reality, the Psalter finally concludes in a proclamation of hope and a call to praise, though the Davidic throne sat empty (Ps. 146-150). God is celebrated as Israel’s king, and there is the certain hope that he will, as promised, assume rule over Israel in a tangible way (Ps. 145). In light of Israel’s national suffering and apparent abandonment, hope for a Davidic king should have been forsaken in spiritual disillusionment, and individual Psalms that reminded God of his commitment and celebrated the future realization of these promises should have, at least, been arranged less prominently in the Psalter. Yet, proclaiming hope in the midst of suffering characterizes the Psalter and emerges as a distinctive marker of those who know God. The psalmists frequently rejoice in God’s promise never to forsake those who hope in him (Ps. 21:7; 22:4-5; 26:1; 31:6, 14; 52:8; 56:4, 11). Their endurance in suffering was fueled by hope that they would again see the outworking of God’s unending, unfailing love. They were persuaded to hope in suffering because of the one whose goodness was unaffected by the forces that threatened them, and their hope was fueled as they constantly rehearsed this truth. They hoped not simply because they had a God, but because they knew precisely what he was like (Ps. 33, 36, 100, 117, 118, 136). The Psalmists, and the community of faith whom they represented, were unable to lose hope (Ps. 43:5). The ability to express genuine hope in the midst of suffering is not unique to the psalmists; the biblical witness presents it as the paradigmatic experience of God’s people. As he lamented the destruction of Jerusalem and the seeming hopelessness of rebellious Israel’s future, Jeremiah’s despair was turned to joy when he remembered God’s goodness: “Yet this I call to mind and therefore I have hope: It is of the Lord’s great love that we are not consumed…‘The Lord is my portion,’ says my soul, ‘therefore I will hope in him,’” (Lam. 3:21-24). When the prophet recalls the steadfast love and faithfulness of God and the commitments that he made to his people, a remarkable transformation occurs and the hopelessness of the previous chapters give birth to hope. Though the circumstances causing his suffering were unchanged and his pain was no less tangible, the shift in his spiritual and emotional disposition is due to a shift in his perspective. The prophet’s bitterness and despair gave way to renewed hope when his vision cleared and he caught sight of the Lord and his “great love.” As Heaven’s spokesman, Jeremiah had faithfully proclaimed God’s love and faithfulness to Israel, but sitting in the midst of deep suffering, he experienced it, and his head that hung in despair was then lifted in hope. The book of Job famously paints the Bible’s first picture of a righteous, innocent sufferer who all but loses hope. Yet in the midst of Job’s confused and pained lament, the book is second only to the Psalms in its references to hope. Long before a robust hope of resurrection appears in the Bible, there is hope in the person of God (Job. 14:7, 10). Though Job despaired of the brevity of life and the inexplicable depth of human suffering, he found the courage to confess, “Though he slay me,” said Job, “yet I will hope in him” (Job 13:15). God’s face was hidden and his ways looked dark, but Job’s knowledge of God and experience with him prevented total despair from consuming the God-fearing sufferer. 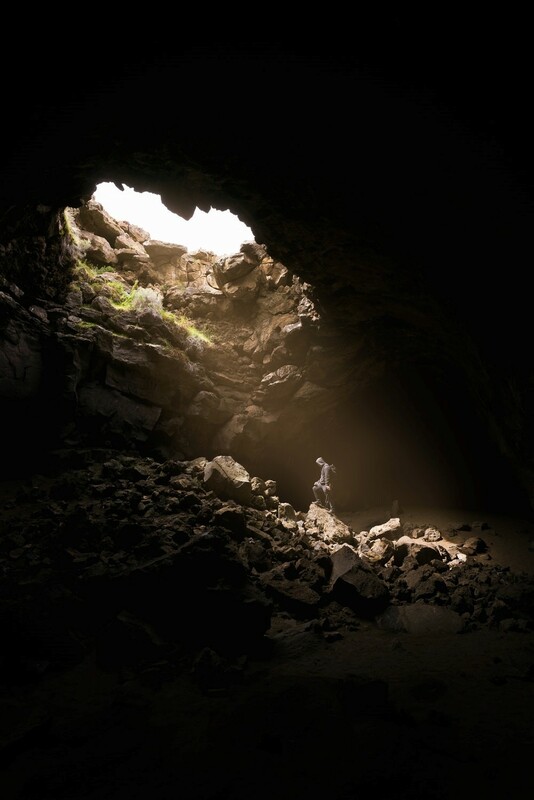 Though Job’s friends were incorrect in their estimation that a righteous person is surely shielded from such an unimaginable amount of suffering, their proclamation that “there is hope” (Job 11:18) does attest to the truth that God does not abandon his people. Having given him room to grieve, God finally responds to Job’s cries not by dictating an explanation, but by revealing a vision of the one in whom Job could surely trust (Job 38-41). Before God restores Job’s life, he restores his hope, not by answering his complaints, but by answering the single cry of a heart shattered by pain (Job 42:5). Realizing how suffering had accentuated his mortality and weakness, Job despaired that God “is not a mere mortal like me that I might answer him,” and he cried out for “someone to mediate between us, someone to bring us together” (Job 9:32a, 33); Job’s cry likely sounded pitiful and futile in the moment, but it was not. The Old Testament dynamically paints a picture of a God who is present and responsive in suffering, and though Job certainly never envisioned the astounding extent to which his plea is answered, this picture is ultimately given flesh and breath in Jesus Christ. Biblical hope in suffering is personified by the divine, innocent and victorious sufferer. Though fallen men try in vain to escape suffering, God actively pursued it. Though it was human freedom that chose, against the will of God, the path of sin and suffering, the cross climaxes the biblical presentation of a God who shares in pain to offer humanity hope, deliver it from sin and rescue it back to himself (Col. 1:13). Though the concentrated echo of humanity’s cries would deafen mortal ears, “there is a place where there is an aggregate of human suffering and questioning. That place is the heart of God.” The creator God is the suffering Savior who wept, grieved and sweated drops of blood in sorrowful dread of the inexplicable pain he would endure. Yet, “for the joy set before him” (Heb. 12:2), he did endure. With assured expectation of his glorious exaltation, Jesus was sustained in suffering with unwavering hope that was born out of his unflinching, perfecting and unrelenting love (Phil. 2:8-11; Is. 53:10-11). It is of optimum importance that Jesus bore both humanity’s sin and suffering on the cross. As James Stewart of the Church of Scotland reflected, “He did not conquer in spite of the dark mystery of evil. He conquered through it,” and he emerged on the other side as the single source of hope for those still journeying to join him. Though the suffering that men experience is paralyzing at times, “Jesus took away the only kind of suffering that can really destroy you: that is being cast away from God.” The hope of complete reunion with the God of love promises that every cry will be answered with a greater response of glory on the day of reckoning. Jesus bowed under the weight of death in order to defeat it, so that rebellious humanity would only have to walk, for a short time, through its shadow (Ps. 23:4). He now compels his followers to consider his example and endure, with hope, as he did, for those who do so will not be put to shame (Phil. 3:10, 2:5; Rom. 5:3; Rom. 8:18). It is the character of God, seen most clearly at the cross, that is both the inspiration and actualization of hope. The biblical narrative pays witness to hope that exists in both the objective sense, as that for which we hope, and the subjective sense, as an attitude of hope, and God is both the source and the anticipation of hope in suffering. It is from the foundation of God’s character that hope arises, because hope is effected in the hearts of those who know the love of God (1 John 4:8, 18). God’s supreme love commissions hope to preserve a suffering humanity, and it is to Love himself that hope ultimately returns (Rom. 5:5). Love is both the road that hope travels and the destination it reaches (Ps. 25:3, 7; Ps. 31:24; Ps. 40:1, 11-12; Ps. 103:5-6). The love of God is the very foundation and anchor of hope, which awaits the future realization of glory, the full expression of God’s love. Whereas faith will give way to sight and hope will give way to reality, love will never give way (1 Cor. 13:13). 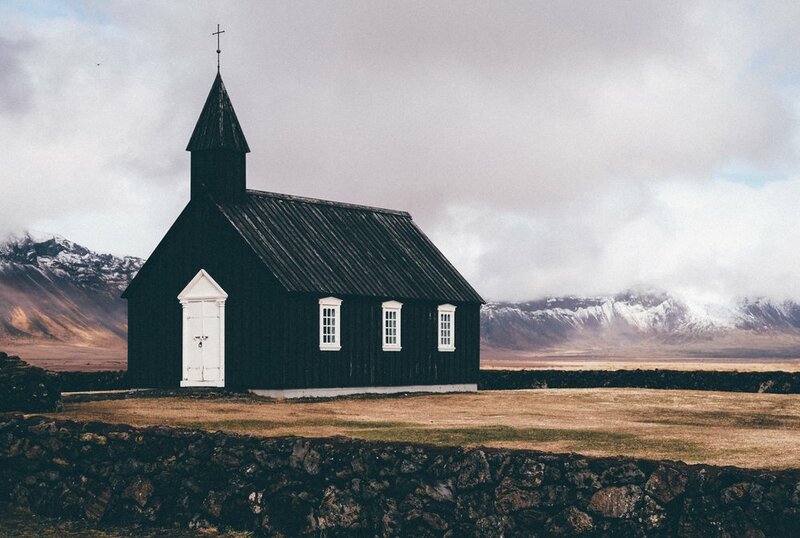 Since hope is a crucial means of experiencing God’s love in suffering, the biblical narrative treats hope neither as a peripheral byproduct of robust Christianity, nor as the preferred attitude that may soften life’s blows. Rather, to endure with hope is the obligation of those who know “the God of hope,” the one who gave himself at the cross and gives of himself through his Spirit so that his people will attest to the reality of the faith and supernaturally anticipate his promises by “abound(ing) in hope by the power of the Holy Spirit” (Rom. 15:13). It is God himself, and the word he speaks, that is the cause for hope, and he obligates himself to answer the hope which he inspires (Ps. 119:49; Ps. 33:4; Num. 23:19). By virtue of his experience, God relates to suffering men, and by virtue of his character, he consoles them with hope. Though faith precedes hope, it does not necessarily guarantee it. For instance, the suffering Christian can simultaneously affirm by faith that “the universe was formed at God’s command” (Heb. 11:3) while despairing in hopelessness. The opening of the Psalter includes Psalm 2, a celebration of the Davidic King’s special relationship with God and cosmic rule. This Psalm is referenced and quoted at Jesus’ baptism, transfiguration, as well as in Acts and Hebrews. Willem A. VanGemeren, Psalms, Proverbs, Ecclesiastes, Song of Songs 5, The Expositor’s Bible Commentary, ed. Frank E. Gaebelein (Grand Rapids: Zondervan, 1991), 102. The book of Micah contains a beautiful example of the proclamation of hope in the midst of suffering. Though he can only see judgment and suffering for Israel (Micah 3-4), Micah had been assured of future salvation, so he proclaims his confidence that God would transform his current suffering: “But as for me, I will look in hope to the Lord, for the God of my salvation; my God will hear me. Do not gloat over me, my enemy! Though I have fallen, I will rise. Though I sit in darkness, the Lord will be my light” (Micah 7:7-8). Though he suffered, he was anchored in God’s promises. F.B. Huey Jr. Jeremiah, Lamentations NAC 16 (Nashville: Broadman Press, 1993), 473. Job lments, “At least there is hope תִּ֫קְוָ֥ה for a tree: if it is cut down, it will sprout again, and its new shoots will not fail…but a man dies and is laid low; he breathes his last and is no more” (Job 14:7, 10). Genesis 2:17; 2 Peter 3:9. Ravi Zacharias, Cries of the Heart (Nashville: Thomas Nelson, 2002), xiii. Ravi Zacharias, Can Man Live Without God (Nashville: Thomas Nelson, 1994), 174. “We who have fled to take hold of the hope set before us may be greatly encouraged. We have this hope as an anchor for the soul, firm and secure. It enters the inner sanctuary behind the curtain, where our forerunner, Jesus, has entered on our behalf,” (Heb. 6:18b-20a). Tim Keller, Walking with God through Pain and Suffering (New York: Penguin Group, 2013), 181. Gordon D. Fee, The First Epistle to the Corinthians NICNT (Grand Rapids: Eerdmans, 1987), 651. Jack Reacher is a former military policeman. With neither permanent address nor credit card this formidable 6’5” martial arts tactician drifts in anonymity. Wherever he goes he finds helpless victims caught in powerful webs of evil. Against insurmountable odds Reacher comes to their aid. Author of the super popular Jack Reacher novel series, Lee Child, discussed with writer Steven King at Harvard University the derivation of his character ‘Jack Reacher’. ‘Jack Reacher’, he said, is his iteration of the ageless longing for the superhero. This Advent season we Christians reflect on the coming into the world of the promised Prince-King-Savior, Jesus Christ. Is he, like Jack Reacher, just another construct of wishful human thinking? So skeptical critics since the nineteenth century have argued. They discount Jesus Christ as just another myth in the long line of human longing for the super hero – the deified Man. Such critics have taken their cue from the philosopher Ludwig Feuerbach who said God—substitute Jesus Christ—is a human invention. He is the deified essence of Man. Jesus Christ is humankind’s highest ideals, hopes, and imaginations fictionally personified. Namely, Jesus, just like Jack Reacher, is a projection of the human imagination. Feuerbach’s and the skeptical critics’ contention is as unsuitable as it is an inadequate explanation of Jesus Christ. 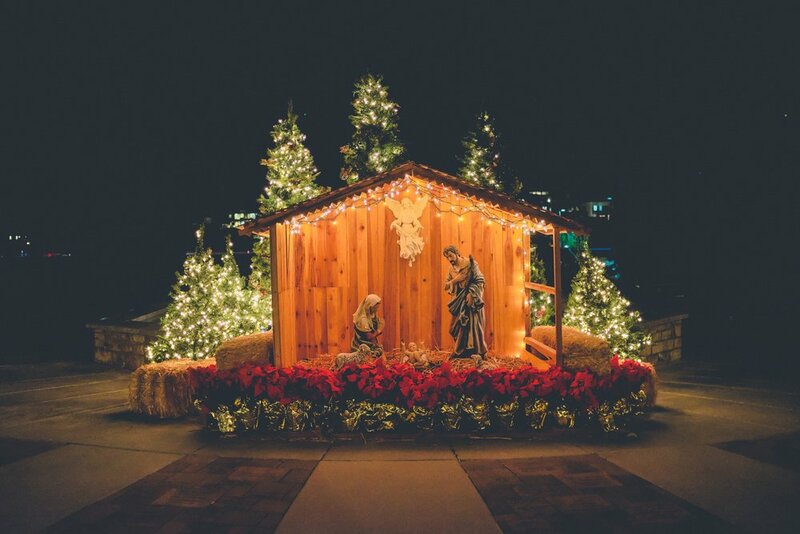 Jesus Christ was enough unlike the profile of a hoped-for messiah-savior that not only his own Jewish people but the world did not recognize him. Let me point out why Feuerbach’s claim is off base and show the disparity between the human, idealized super-hero and Jesus Christ. The imagined deified heroes embody what we are not but wish we were. They fill up our cosmic inadequacies. Fantasize with me about an archetypical super-human. What is your god or goddess’s profile? The idealized deified idol is endowed with super-human strength. Muscular, attractive, with enhanced intelligence, he or she is a champion who knows what to do in all circumstances. Endowed with an indomitable spirit, the conqueror is virile, generous, and has a streak – just a streak – of good. With death-defying acts, the divine hero surmounts improbable odds to triumph over every impossible predicament to save helpless persons. In the superhero, evil meets its match. They right wrongs, fight for justice, and defend the public from the catastrophic machinations of tyrannical, psychopathic villains. You know their names: Hercules, James Bond, X-Man, Batman, Wonder Woman, et cetera. We cannot forget Superman! In 1935, two New York City taxi-cab-drivers imagined a superman who could defeat crime and fight for truth and justice. He is faster than a speeding bullet, more powerful than a locomotive, and able to leap tall buildings in a single bound. “Is it a bird? – Is it a plane? – No, it’s SUPERMAN!” Possessing X-ray vision, he has extraordinary, muscular strength, good looks, and, yes, he is honest and humble. He was a model for this American male. I had my Superman suit with the big ‘S’ on my chest. I waited for that suit to arrive for two months. Mom said it was only two weeks. I went “flying around” – I mean, running around – our backyard. I could not bend steel, or outrun the dog, but I was hopeful. Superman is made to be seen! His stupendous saving acts are performed before the eyes of the watching world. Who can miss a man flying down Wall Street in royal blue tights, a giant red ‘S’ centered on his chest, and a red cape flapping behind him? Humankind dreams of heroes who flex their muscles, and make the spectacle of their superiority resoundingly clear. At the end of the day, no one is left in doubt who wields the greatest strength, the superior intelligence, and the supreme prowess. Contrast the hero tradition with the coming Ruler, Messiah-King, Jesus Christ. Does Jesus match their profile? He is born in an animal shelter to a craftsman family in an obscure country. The prophet Isaiah says of him, “He had no form or comeliness that we should look at him, and no beauty that we should desire him.” He did not possess the unusually attractive Grecian star-quality looks of Hercules. We’re told nothing of his looks, or the color of his skin, in fact, but plenty about his character. Moreover, contrary to Superman, his great works were performed not in the great cities like Rome or Athens but in the rural, country villages of Galilee … the Big Islands and Tight Squeezes of this world. His miracles were always awesome, but often not sensational. He was not Hercules holding up the world or Batman swooping down from a skyscraper in Gotham City’s searchlight. Though there were exceptions, He worked in understated and invisible ways to leave room for doubt … and faith. Though the results were overwhelming, one saw very little flash. When religious or secular leaders asked him for the spectacular sign of a ‘superman’, he refused to give it. The Gospel writers make clear in Jesus’ own as well as the Gospel writers’ minds his culminating glory was the scornful cross! What human fantasy would ever conceive it? What hoped-for human imagination would envision the ideal hero-god’s climaxing achievement a humiliating public execution by his enemies on a cross? Shall the ideal superhero die like a dog an excruciating and humiliating death stretched out naked publicly in front of his enemies? And yet none like Him so deeply satisfies our yearning for a Savior, for in allowing Himself to be broken, He offered the world its only chance to be healed. As Heltzel observes the contemporary moral sitz em leben he recognizes a need for the abandonment of what he refers to as a “one-sided emphasis on personal ethic to an ethic that is both personal and social.” To this end, he advocates for prophetic ethics that he defines as a moral theory that is committed to action, discipleship, embodiment, mission, justice, and love. Heltzel claims that the Holy Scriptures in general and Jesus’ teachings/practices in particular, are the primary source of prophetic ethics. The contents of Jesus’ message and the character of his activity encouraged “shalom justice” and proclaimed “the kingdom of God” all in the context of “a Spirit led movement fueled by the fire of revolutionary love.” Stories of Jesus’s dealings with others ought to, according to Heltzel, steer Christians toward empathy for those who are “the least of these” and galvanize disciples toward compelling action in the context of transformational communities. This requires that Christians know themselves and the context in which they live. If believers are to involve themselves in the justice movement, they must understand where they fit “within the travail and tragedy of human history, which is also the history of redemption.” In so doing, Christians are to take their cue from Christ’s example and act as moral agents who are sensitive to local conditions, events, circumstances, and actions. Such moral activity is supported by Heltzel’s interpretation of Micah 6:8. Therein, the prophet Micah challenges the people of God to “act justly and to love mercy and to walk humbly with your God.” This verse satisfies what Heltzel believes are the three characteristics of prophetic ethics: faith-rooted organizing (acting justly), empathetic solidarity (loving mercy), and daily prayer (walking humbly with God). While these characteristics describe the praxis of prophetic ethics, Heltzel argues that such practices are rooted in the Hebrew Scripture’s imperative for justice and righteousness. When these two terms (tzadeqah and mishpat) are juxtaposed (see Psalm 33:5 and Jer. 9:23-24 for examples), Heltzel and others like Tim Keller believe that they convey the idea of social justice. As a result, what the Hebrews Scriptures advocate and what Jesus illustrates is a call not just to personal morality, but to appropriate social relations. Taking from Christ’s example, the believer ought to fight for the same in his/her context. Though Love and justice most nearly categorize the moral norms of prophetic ethics, improvisation is its method. “Like a jazz musician improvising on standards,” Heltzel believes that “Jesus improvises on Scripture when he preaches and teaches.” This is most clearly witnessed in his exposition of the Old Testament law in Matthew 5-7. There, Jesus provides his commentary on the law and preaches a revised ethic that offers love and justice to an oppressed and broken people. In similar ways, contemporary Christians ought to take the themes of love and justice that are articulated in the example of Jesus and improvise on their themes in a way that can speak to the issues that people are confronting. Though the Black Lives Matter movement, death penalty opposition, and Martin Luther King Jr. are cited as examples of how this looks, prophetic ethics is satisfied anytime Christians “empathetically enter the experience of…fellow humans, especially the marginalized who are victims of violence,” and bring love and justice with them. Ultimatley, Heltzel and the prophetic ethic movement is calling Christians to prayerfully shrug off a deleterious preoccupation with personal righteousness and strive for social sanctity. Brad Kallenberg is sympathetic to Heltzer’s assessment of the church as overly individualistic and largely ignorant/avoidant of social involvement. Kallenberg also concurs with Heltzel’s emphasis on ethics as active and performative. However, Kallenberg believes that Heltzel’s system is not prepared to answer why this is the case. Also, using his own musical metaphor, Kallenberg criticizes prophetic ethics for not identifying any unifying/fundamental theme by which the many variations of moral improvisations Heltzel calls for can be rightly understood and applied. Along with the other contributors to the volume, Claire Brown Peterson agrees with prophetic ethics’ call for a just society and prayerful, coordinated, open, and nonviolent campaigns to that end. However, she criticizes prophetic ethics in general and Heltzel in particular on three fronts. First, while advocating for social justice, prophetic ethics does not elucidate how the requirements of justice must reference human nature and flourishing. Second, in its appeal for society, Heltzel largely ignores the necessary private dimensions of ethical consideration. Finally, Heltzel’s iteration of prophetic ethics makes it appear as those collective organization and embodied solidarity are the only appropriate responses to injustices when more choices are, in fact, available. 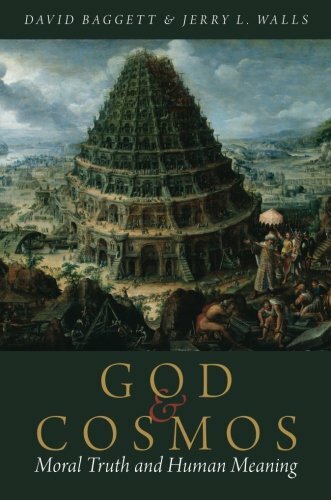 Divine command theorist John Hare widely concedes the crux of what Heltzel has offered inasmuch as prophetic ethics is predominately based on prophetic commands divinely given in the Scriptures. However, Hare wonders if Heltzel does not draw an unnecessary dichotomy between personal purity and concern for others. Also, while Hare appreciates Heltzel’s emphasis on Jesus “prophetic” work, he wishes that prophetic ethics would not dismiss his roles as priest (committed to holiness and sacrifice) and king (exercising stewardship over the created realm). Finally, Hare questions whether or not it is appropriate to describe Jesus’s preaching as improvising on the Scripture and if more work needs to be done to improve this analogy. What Sort of _______ Is This? A mystery seized the disciples. The mystery’s answer unlocks the door to the Book of Matthew; it unscrambles the Gospel itself; and it opens the gate to your life – to its present satisfaction - its eternal future. The disciples wondered, ‘What sort of man is this that even the wind and the sea obey him?’ On that occasion their boat is caught in a Galilean sea windstorm. Waves are lapping over their fishing vessel’s sides. They are being swamped. They panic. They fear they are sinking. Then Jesus speaks to the winds telling them to be silent. The sea hushes. There is dead calm. The disciples gasp, ‘What sort of man is this that even the wind and the sea obey him?’ The original language of the text does not have any noun after the ‘what sort of’. Literally, it’s ‘what sort of____’ is this that even the wind and sea obey him?’. One has to supply the noun. That is, the question: what sort of ‘one’, what sort of ‘person’, being, is this to whom the wind and sea are subject? It’s the same question I want to put to you. ‘What sort of “one” is this that even the wind and the sea obey him?’ I trust you have already responded to it. Answering this question is a confession one continually reaffirms. Answer it for yourself again. The ancients all agree controlling the weather is the domain of a god – not of a human. Atheists like Richard Dawkins or theologians like Rudolf Bultmann say ruling the weather is not the work of a god. They do agree it is not the province of a human, either. Upon this we’re all are agreed: commanding the weather is not in the province of a human. The disciples’ rhetorical question, ‘What sort of’, one, person, _?__ , is this that even the winds and the sea obey’ - anticipates the answer. What sort of person this is again is highlighted just two chapters later in Matthew 10: 34-39. Jesus says, ‘Do not think that I have come to bring peace to the earth; I have not come to bring peace, but a sword. For I have come to set a man against his father, and a daughter against her mother, and daughter-in-law against her mother-in-law; and one’s foes will be members of one’s own household.’ This is jarring! The Lord’s anointed has not come to bring peace but a clash. He declares he will turn son against father; divide daughter and mother; and daughter in law against mother in law. He will deliberately split life’s most enduring, affectionate and necessary bonds. Elie Wiesel and his family were Jews who just got off the Nazi train at Birkenau. A Nazi SS officer wielding a club barked, ‘Men to the left! Women to the right!’ Suddenly, Elie was separated from his mother and sister. He watched his mother and sister disappear into the horizon. That was the last time he ever saw his mother. Jesus separates family members. He claims there is a deeper, more necessary bond than the familial bond. There is a relationship more primary than family. The relationship with Him is greater than the familial bond. Whoever loves father or mother more than me is not worthy of me. He inserts love for himself between that of son and father; daughter and mother. Love for Him surpasses the primary human love. Love for Him is more fundamental and transcendent than human love. Who ranks above the love for your father? Who ranks above the love for your daughter? Or your mother? Jesus says whoever loves mother more than me is not worthy of me. My late mother Betsy had a college friend in Lynchburg who she kept up with over the years. They would talk. My mother inevitably got the conversation around to church. ‘Claire, come to worship. You belong there. We miss you.’ But, Claire would remind her worship was at the time her family went to brunch. My mother said, ‘Then change the time of brunch.’ Is that what you say? What sort of one even claims preeminence over life’s primary priority? Jesus was leaving a large crowd. One from his larger group of disciples said to Him, ‘Lord, first let me go and bury my father.’ (Then I will follow you.) To bury your father is one of those things you do to fulfill the commandment, ‘Honor your father’. Some think the disciple was not speaking literally but meant he needed to care for his aged father. After his father died and was buried, the disciple would be free then to follow Jesus. Either way, Jesus’ response remains: ‘Follow me and let the dead bury the dead.’ The spiritual dead will take care of the physical dead. First things first…following Me takes immediate priority. Nothing – not even burying one’s father - comes before this One. Jesus demands to be loved preeminently above your human loves. In fact, if you love your father more than Jesus, you do not deserve Jesus; you are not suited to Him; and you cannot belong to Him. ‘What sort of’ person is this that demands such exclusive love? Jesus tells his disciples the reason they know hidden things and the wise and intelligent do not: ‘no one knows the Son except the Father; and no one knows the Father except the Son and anyone to whom the Son chooses to reveal him.’ The Father and Son share knowing exclusive to themselves. We expect the Father to know the Son. What is shocking is that Jesus says ‘no one knows the Father except the Son’. In the original language, the word ‘know’ is intensified: knows exactly, knows completely, and knows through and through. Jesus is claiming He is the only One who knows God through and through; exactly as He is. Who is it who knows God’s mind exactly? Who is the only one who knows completely Tom Thomas’ mind? Who is buried in George Washington’s tomb?! The second part of this is ‘no one knows the Father except the Son and anyone to whom the Son chooses to reveal him’. Jesus is the only one who mediates and reveals God. Revealing God is at the Son’s discretion and according to His own prerogative. Jesus’ claim was on trial in a recent Senate hearing. Russell Vought was being interviewed for a deputy position in the White House Office of Management and Budget. Bernie Sanders took him to task for an article Russell wrote for his college newsletter. Russell said Muslims ‘do not know God because they have rejected Jesus Christ His Son, and they stand condemned.’ Sanders asked him if he was being respectful of other religions. Vought in his words was echoing Jesus. Jesus is not disrespectful. He is making an exclusive but truthful claim. ‘No one – not the Buddha, Mohammed, the guru, the Imam, or Moses – knows the Father except the Son and anyone to whom the Son chooses to reveal him.’ No one can know the Father who does not first know the Son. Who is it that makes such an absolute claim? What sort of person is this? Who is it the weather obeys? Who demands love surpassing all human love? Who knows completely the inner mind of God? Who have you said Him to be? Who do you now say Him to be? He is the Person to whom I submit my body, my soul, my fame, my fortune, my friends, my reputation, my life, and my all! You too? "Morality and Christian Theism" by H.P. Owen was originally published in 1984 by Religious Studies. 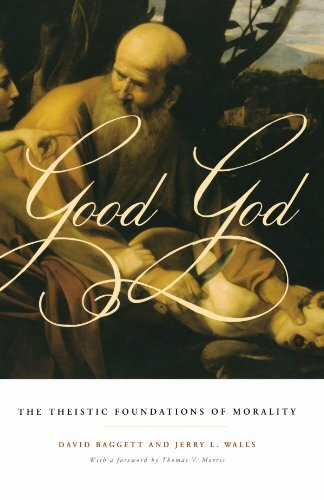 In this thoughtful and engaging work, Owen explores some reasons to think specifically Christian theism best explains morality. Then I consider the difficulty of mending broken human relationships, I’m reminded of the nursery rhyme about how “all the king’s horses and all the king’s men/ Couldn’t put Humpty together again.” Any professional counselor is able to relate cases of marital or other interpersonal conflicts where the alienation of the parties from each other is so deep as to seem irreparable. In such cases, the counselor will try to help each party to understand how the matter appears to the other person or persons, since the conflict developed in the first place and deepened because each side assumed that its way of seeing things is the norm. Therefore, each one interprets every action and argument of the other to be either dishonest or perverse. If the two are to come together again (that is, be reconciled), one or both of them must take the risk of reaching out toward the other. Matt. 5:23-25 lays out the importance of reconciliation among humans who are spiritual siblings: “So if you are offering your gift at the altar and there remember that your brother has something against you, leave your gift there before the altar and go. First be reconciled to your brother, and then come and offer your gift.” These words are addressed to people who purport to be followers of Jesus and therefore are expected to respond to His words as a spiritual command. In that light, it is significant that the person who knows he is alienated from his brother has an obligation that goes beyond whether the “something against you” is valid or not. Even if (in the honest opinion of the one being accused) the brother who has taken offense is wrong, it is so important to take steps toward reconciliation that one is not even to participate in a worship service until every effort is made to bring about reconciliation. This is a step that goes beyond the common sense of trying to settle a dispute out of court, rather than run the risk of losing a lawsuit. What Jesus commands in this case is in the same spirit of not insisting on one’s own right that is commonly referred to as “going the extra mile” (see Matt. 5:28-32). There is no way in human terms to understand the basis of Jesus’ teaching about selflessness in the Sermon on the Mount without reference to a much larger and more significant reconciliation that has been brought about by God’s initiative. It is only as a reflection of that move of God toward us that we can effectively carry out reconciliation between humans. Loving our siblings in Christ, even beyond what is reasonable, forgiving them beyond what they deserve, and seeking them out for reconciliation beyond what seems justified are God-enabled reflections of His unlimited desire to be in fellowship with us. These principles are especially difficult to apply in a culture and a society which places a very high value on standing up for our rights, but if we are to have the privileges of fellowship with God, the price is a willingness to give up our “rights,” if necessary, in order to be reconciled with our brothers and sisters in Christ. Note: A word of caution is in order about applying the normal principles of reconciliation outlined above. A desire for reconciliation should never become a means of enabling an abusive person to continue his or her behavior. Nor should an abusive person be allowed to use emotional blackmail to pressure a tender-hearted reconciler to submit to abuse. Being a willing victim of physical or emotional abuse is never an acceptable price to be paid for some kind of surface reconciliation. Jesus fulfills a woman’s deep want and need more than any man. Why have so many women over history followed Him? He did what Ruth Rendell said: he shows he likes women. A revolution occurred because He dignifies them. He accepts women as having standing. As men, Jesus gives women access to Himself. He always has time for them. He pays them attention. I want to try to show how the account of Martha, Mary and Jesus makes this clear. How their want of Him made Him the one thing necessary in their lives. Jesus entered Martha and Mary’s village of Bethany. Bethany is just over the crest of the Mt. of Olives. Martha ‘welcomed’ Jesus into her home. Martha is the only woman I can think of who invited Jesus into her home. Taking the initiative to do so took self- confidence. It tells us she was friendly toward Jesus and his ministry. Jesus did not decline Martha because she was a woman. Perhaps Martha could do it because her home was large enough to accommodate Jesus and his disciples. Martha’s sister Mary was also there. When Jesus entered, Mary followed the Lord. She took her place at His feet. She begins listening to what he was saying. This is radical. Jewish teachers were generally opposed to women learning. Jesus not only lets her sit at his feet. As we shall see, he expects her, a woman, to listen and learn. This is still controversial in 2017. The Taliban says the Moslem Quran does not allow women to be educated. If Jesus entered your house, would you be sitting there with him? Where was Martha? Martha was ‘distracted. She is overburdened by the various tasks of hosting guests. She is anxious to provide a fine dinner and comfortable hospitality for her special guests. Every host knows the tension between being with your company and attending to the ongoing preparation for dinner. Guest’s hands and feet need washing; heads need oil; towels for drying; fire for cooking tended; meat prepared and cooked; the vegetables, the bread, the deserts, and water drawn. The tables have to be set with your best utensils and crockery/china. The candles filled with oil and lit. Flowers put in vases. Our first Thanksgiving dinner as newlyweds Pam and I hosted my parents. It was nerve-wracking for Pam. Pam had never prepared a turkey in her life. This was her first dinner for the in-laws. She knew none of the recipes my parents enjoyed. She baked a cake from scratch. It was three layers. When I cut the cake, it crumbled into bread crumbs. She had iced the outside, but forgot to ice between the layers! After all, Martha is entertaining Jesus! The Prophet who taken the world by storm! Martha is just plain stressed out. She wants to give him an impressive dinner. But she is feeling put upon. With all that needs to be done, her sister is sitting there with Jesus. Martha leaves her preparations and makes her way to Jesus. If she appeals to Jesus, Jesus will tell Mary to help. Mary will listen to the Master. The Holy One will enlighten Mary to her injustice and selfishness. ‘Lord, do you not care that my sister has left me to do all the work by myself?’ Tell her then to help me’. ‘Tell her to do her share.’ Tell her to pitch in. ‘Many hands make work light’ my mother would say. But the Lord answered her, ‘Martha, Martha’. Saying her name twice shows his strong interest in her. There are many people around him but He considers her. ‘Martha, Martha, you’re worried and distracted about much.’ You’ve been thrown into undue disorder and trouble. These ‘worldly’ matters are too much oppressing you. Things have gotten out of perspective. You’re in overload. For a lot of people, life moves at a chaotic clip. It’s an all too typical woman’s – yes, man’s too – but particularly a woman’s concern today. She is working a stressful job; she’s trying to be a good mother/wife. Women typically bear the brunt of the responsibilities of family and home. Maybe she is also taking a night class to work on her degree. I heard of a single woman holding two jobs; her father had Alzheimer’s in a care facility; her mother who lives with her has a health issue; and she is raising children. ‘Martha, Martha’. Was Martha ‘multi-tasking’? She was trying to juggle multiple tasks. ‘Multitasking’ is our word for today for juggling the overload of many duties. ‘Multitasking’ is doing two or more cognitively complex things at the same time. Dr. Frances E. Jensen, a U of Penn neuroscientist, says ‘multitasking’ is a myth. Yes, you can chew gum and watch the baby at the same time. That’s not multitasking. But you cannot make cordon Bleu and solve a problem with your boss on the phone at the same time. If you try to do them at the same time your brain has to switch back and forth constantly. You do neither well. Focusing on more than one complex task is virtually impossible. If you’re a teen – or Tom Thomas – it is impossible! ‘Martha, Martha, you’re worried and distracted about much.’ Are you too? Jesus continued. ‘But one is necessary’; ‘there is one need; ‘there is need of only one thing’. Simplify. ‘Mary has chosen the good portion’. The word ‘portion’ connotes ‘food’. Jesus puns, ‘Mary has chosen the better food.’ What food did Mary choose? Jesus…the bread of life. She chose to sit with and listen to Him. What food did Martha choose? The bread…of the kitchen. Given the choice between life’s duties, responsibilities, vocations, and avocations and Jesus, Jesus ranks above them all. Which are you choosing? Which is your practice? Which is your first priority? Is everything else second to Him? What if Martha had done that? Driven, Type A people are asking who would have provided the beautiful arrangements of food and drink? Better to have Jesus and a peanut butter and jelly sandwich than a Better Homes and Garden banquet without him. Jesus consistently messages this: to the rich young ruler: sell everything, give to the poor, then come and follow me; to the man who wanted to bury his father before following Jesus. Jesus said, ‘Let the dead bury the dead, follow me.’ Martha doesn’t realize who is in her midst. Few people do. In him is ‘the fullness of deity dwelling bodily’…the One who is before all things… ‘the one who is to have first place in everything’ . Jesus shows as much interest in her as a man. He invests in her worth: invites her to join his circle; wills her to be his disciple; believes she is just responsible as a man to God; just as capable of hearing, understanding and learning as a man. This is a watershed for woman in history. Women respond to Jesus. He’s what they want. He’s what they need. They’ve heeded his word to Martha. They have made Jesus their first portion –the one thing necessary. He has fulfilled their deep want and need. Probably in greater numbers in church history than men…in different ways: as wives…as mothers…a martyrs…as activists…as writers…as teachers…as evangelists…in mission…to great effect. Perpetua was a 22 year old new mother. She was imprisoned by the Romans with her infant for declaring she followed Christ. The proconsul told her he would release her if she said, ‘Caesar is lord’. Her father begged her to lie. She would not. She said, ‘Jesus is Lord’. She so wanted Jesus, when made to decide, she chose him above her father, her child, and her own life. Her witness lives on today. Mademoiselle De La Mothe, better known as Madam Guyon, was a teenage girl in Paris. She was smart and beautiful. She was tall and well built. She had a Grecian countenance, high forehead and brilliant eyes, and a noble sweetness. She thought a lot of herself. She spent a good part of the day in front of the mirror. At 17, she fell deathly sick. She was not expected to live. As she languished, her sins haunted her. She realized her self had been her religion. She knew she was out of favor with God. She recovered. See sought God. The only way she knew to try to get God’s acceptance was earn it: she began to do good works. It didn’t take away her sorrow for her sin. Then she came to understand loving Jesus Christ is a matter of the heart. Then she came to know personally Jesus Christ not by doing righteous works, but by faith. Now, she said, ‘For I had now no sight but of Jesus Christ’ . She was sorrowful of her wasted past. Why was she so late in finding Jesus? ‘Why’ she wondered, ‘have I known thee so late? Alas, I sought you where you were not, and did not seek you where you were!’ She wrote the name of her Saviour in large characters and attached it to her person. She wanted to be reminded continually of Him. She wrote poems and letters for Christ. She influenced circles of Christians and mystic theologians like Francis Fenelon. What do women want? What do you want? They want the One who accepts and honors them; the One who wants to be with them; who wants them to be in his company and they in his; the One who loves them - they want Jesus Christ! He is the one thing necessary. Is He for you the One necessity? We’re all familiar with the first baptism of Jesus at the hands of John the Baptist, who had to be assured that it was necessary for Jesus to be baptized, in order “to fulfill all righteousness” (Matt. 3:15). Jesus set the pattern of baptism as a mark of the beginning of the Life that God gives, and a special manifestation of the gift of the Holy Spirit after His baptism was seen as it descended “like a dove” and came “to rest on Him” (v. 16). That was followed by a heavenly voice saying, “This is my beloved Son, with whom I am well pleased” (v. 17), archetypically reflecting our purity before God as we begin our walk with Him. This passage establishes a link between Jesus’ second baptism and the cup of suffering that He prayed fervently to be delivered from in the Garden of Gethsemane (Lk. 22:39-46). Obviously, Jesus saw His coming suffering as a second kind of baptism, and when we couple this with statements in the epistles about not only the inevitability but the appropriateness of suffering by followers of Jesus, we see that we, too, must expect to go through a second baptism. John the Baptist seems to be contrasting the two baptisms when he says of Jesus, "I baptize you with water for repentance, but he who is coming after me is mightier than I, whose sandals I am not worthy to carry. He will baptize you with the Holy Spirit and with fire. His winnowing fork is in his hand, and he will clear his threshing floor and gather his wheat into the barn, but the chaff he will burn with unquenchable fire" (Matt. 3:11-12). I take the reference to the baptism in the Holy Spirit to be the water baptism that Peter promised his hearers in Acts 2:38 would be accompanied by “the gift of the Holy Spirit”; and the baptism in fire to be the second baptism, the suffering that purifies and tempers and makes stronger the character of Christians. Submitting to the first baptism is cause for rejoicing and praising God, and new Christians are often appropriately exuberant, feeling the reality of having been cleansed from all sin. But just as Jesus had to go through a second and very different baptism before His walk on this earth was done, so we who follow Him must embrace the baptism of suffering that brings us to maturity in Christ. Jesus tried to instruct His Twelve Disciples about what lay ahead for Him (and them), but they were obtuse and spiritually insensitive. Believers often share Peter’s resistance to the progression from the joy of the first baptism to the second baptism of mature suffering. It’s significant that later on, after many years of leadership in the early church, Peter speaks with great perceptiveness about the fire of the second baptism: “Beloved, do not be surprised at the fiery trial when it comes upon you to test you, as though something strange were happening to you. But rejoice insofar as you share Christ's sufferings, that you may also rejoice and be glad when his glory is revealed. If you are insulted for the name of Christ, you are blessed, because the Spirit of glory and of God rests upon you” (I Pet. 4:12-14). So, just as Jesus experienced His first baptism and the accompanying endowment of the Holy Spirit as the beginning of a new life of service and ministry, so we who confess faith in Him experience the rite of baptism and the empowerment of the Holy Spirit as a joyful entry into our new life with God. But God also calls us to share His Son’s experience of the second baptism, which is the necessary entrance into the completion of God’s purposes for our lives on earth. Jesus told His disciples that they would suffer with Him (“If they persecuted me, they will also persecute you” [Jn. 15:20]), and those who preached the Gospel afterward also made clear that confessing Christ and being baptized in water will eventually, as the believer matures, lead to a second baptism of suffering. Paul says, “The Spirit himself bears witness with our spirit that we are children of God, and if children, then heirs—heirs of God and fellow heirs with Christ, provided we suffer with him in order that we may also be glorified with him” (Rom. 8:16-17). And again: “For it has been granted to you that for the sake of Christ you should not only believe in him but also suffer for his sake” (Phil. 1:29). What a pregnant clause, “It has been granted to you.” The gift of suffering in the likeness of Christ is as much a manifestation of God’s grace as the gifts of eternal life and the indwelling of the Holy Spirit that we received in our first baptism as new believers. The second baptism in the fire of trial is redemptive rather than destructive only because our Savior has been there before us and sanctified our suffering. He was willing to be born in the flesh so that He could be anointed in power in His first baptism; and He was willing to submit to the “second baptism” of innocent suffering and death for the sake of all mankind. It is following his path from baptism in water to baptism in fire that marks us as fully redeemed children of God and sisters and brothers of Christ.